In the second half of the 18th century, several governors, officers and private individuals became concerned about the ill treatment of the Beothuk and suggested ways that would promote a more humane attitude towards them. In 1768, Governor Hugh Palliser sent Lieut. John Cartwright, RN (Royal Navy), up the Exploits River to meet with the Beothuk to bring about friendly relations but he was unable to meet any of them. Governor John Byron (1769) and many of his successors issued proclamations ordering settlers and other native groups to live in harmony with them. George Cartwright, having accompanied his brother John on the expedition up the Exploits River, proposed (1784) the establishment of an Indian reserve in Notre Dame Bay and the appointment of an Indian agent to enforce the law. He also thought that the distribution of presents might entice the Beothuk into trade. Lieut. George Christopher Pulling, RN, who had heard of brutal crimes against the Beothuk, suggested two years later that a naval vessel be stationed in the Bay of Exploits as a base from which to send peace missions into Beothuk country. In 1792, Chief Justice Reeves pleaded with the authorities in Britain to protect the Beothuk by enforcing the present laws against offenders. A few years later, Governor Waldegrave proposed to combine peace missions to the Beothuk with a survey of the coast (to minimize expenses), or to capture a Beothuk and release him (or her) with presents and a message of good will. But the Secretaries of State for the Colonies in Britain were not interested in either of these schemes and without their permission and financial support, the hands of the governors were tied. Eventually a reward was offered to any one who would capture a Beothuk; the idea was that the captive should be treated with kindness and sent back to mediate better relations with his (or her) people. Presumably, this plan was chosen because it did not entail the employment of naval ships or troops and thereby avoided expenses to government. But when captives were taken - three children between 1768 and 1791 and one woman each in 1803 and 1819 - it was done at the cost of Beothuk lives; this surely led to a deterioration rather than an improvement of relations. Also, not one of these captives was returned to their people to convince them of the good will of the English. In the winter of 1811, Governor John Thomas Duckworth attempted to make peace with the Beothuk by sending a party of Marines under the command of Lieut. David Buchan to their settlement at Red Indian Lake. Although the encounter began in what Buchan believed to be a friendly atmosphere, it ended in tragedy when the Beothuk became suspicious of his motives and fled. To conceal their whereabout they killed the two Marines who had remained with them. Another expedition that ended in death was the capture of Demasduit by John Peyton Jr, a local merchant of Exploits, and his party, in 1819. In this encounter her husband, Chief Nonosabasut and his brother were shot dead. Although Governor Hamilton had intended to send Demasduit back to her people, she died before this could be achieved. By the 1820s, all efforts by the English to improve relations had failed. Plans were often based on the wrong premises and, as Capt. Buchan later said, "there appears to have been always a fatality in everything that was undertaken." Believing that he could reverse this trend, William Epps Cormack, a young entrepreneur with scientific interests, decided to search for Beothuk survivors in the interior. Cormack had come to Newfoundland in late 1821 or early 1822 and, in the fall of 1822, set out on a walk across the island together with a Mi'kmaw guide, Joseph Sylvester, also known as Sylvester Joe. He wanted to explore the interior of the country and assumed that he would come across Beothuk in the central region. Although Cormack failed to achieve this goal he did not give up on his plan to meet with Beothuk and offer them peace. William Cormack was the first European to journey across the interior of the Island. On September 5, 1822 Cormack's expedition departed from Smith Sound, Trinity Bay and arrived in St. George's Bay on November 4th of the same year. Courtesy of Archives and Special Collections, Memorial University of Newfoundland Library, St. John's, NL. 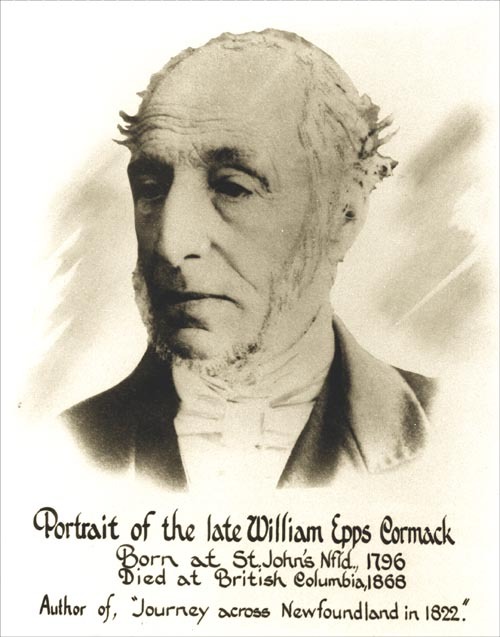 To solicit community support and funding, Cormack founded the Boeothick Institution on 2 October 1827 at a meeting in Twillingate. The purpose of the institution was to open a communication with "the Red Indians of Newfoundland," to promote their civilization, and to procure an authentic history of this native group. Many prominent citizens subscribed. W. E. Cormack was nominated president and treasurer. Dr. John Inglis, The Lord Bishop of Nova Scotia, Professor Robert Jameson, president of the Wernerian Society in Edinburgh, and John Barrow, Secretary to the Admiralty, London, were among those nominated Hon. Patron or Vice Patron. Cormack subsequently set off with three native guides to explore the area around the Exploits River and Red Indian Lake. After 30 days, walking about 300 kilometres through the dense forest, the party returned. They had located deserted camps and the burial hut of Chief Nonosabasut and his wife Demasduit but did not meet any Beothuk. As a last resort a native search party was sent to the region of Notre Dame and White bays under the auspices of the Boeothick Institution. They too failed to encounter Beothuk and it was now feared that this native group was on the verge of extinction. This is believed to be a portrait of Shanawdithit. Reproduced by permission of Ingeborg Marshall. From Ingeborg Marshall, A History and Ethnography of the Beothuk (Montreal: McGill-Queen's University Press, ©1996). One of the proposals at the founding meeting of the Boeothick Institution had been to place Shanawdithit - a Beothuk woman who had been captured in 1823 and was living in John Peyton's household on Exploits Island - "under the paternal care of the institution." When the last search party returned without having achieved its objective, it became apparent that Shanawdithit may be the sole survivor of this native group. Cormack therefore initiated - under the auspices of the Boeothick Institution - her transfer to St. John's. Shanawdithit arrived there on 20 September 1828 and stayed in Cormack's home for about four months. Cormack helped her to improve her language skills and solicited from her, with the help of sketches, information about her people's recent history, including a census, and details of cultural practices. Shanawdithit also provided a list of Beothuk words and phrases. In January 1829, when Cormack's business ventures failed and he left Newfoundland for good, Shanawdithit was taken into the home of Attorney General James Simms. Having suffered from pulmonary tuberculosis for some time, her condition worsened and Shanawdithit died on 6 June 1829 in a St. John's hospital. After the founding meeting in Twillingate, in 1827, members of the Boeothick Institution met again in St. John's on January 12, 1828, February 7, June 24, and in October 1828, and possibly once more at an unspecified date. With the failure of the search parties to contact Beothuk and the death of Shanawdithit the Boeothick Institution could no longer pursue its goals and appears to have folded. 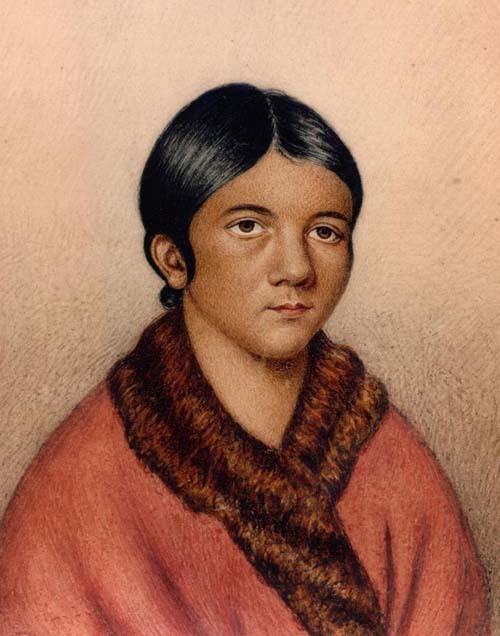 Yet, even though the institution was not able to prevent the extinction of the Beothuk, Shanawdithit's transfer to St. John's and Cormack's efforts to record as much information about her people as possible led to the collection of invaluable information on Beothuk history, language, customs, and pursuits. The Boeothuk Institution has thereby contributed significantly to our knowledge about this cultural group. On 2 October 1997, 170 years after its inception, the Boeothick Institution was revived as the Beothuk Institute. Its mandate was to arrange for the erection of a statue of a Beothuk woman to commemorate the Beothuk people, and to promote public awareness of the Beothuk and other aboriginal peoples of the province. The idea of a statue came from Newfoundland artist Gerald Squires, who had a vision of a female Beothuk in the Bay of Exploits, and wanted to honour the spirit of her people. He was commissioned to create the statue. It was poured in bronze by artist Lubin Boykov and unveiled at the Boyd's Cove Provincial Historic Site in July 2000. Since then the Beothuk Institute has sponsored the publication of a booklet on the Beothuk, provided essays on the Beothuk for Memorial University's websites, such as this one, and for local newspapers, and has initiated a study of Beothuk DNA. The Beothuk Institute has applied successfully to the Historic Sites and Monuments Board of Canada for the erection of plaques to commemorate the Beothuk women Shanawdithit and Demasduit, and the Mi'kmaw guides Mattie Mitchell and Sylvester Joe (Joseph Sylvester). The institute continues to support Beothuk related projects in the province. 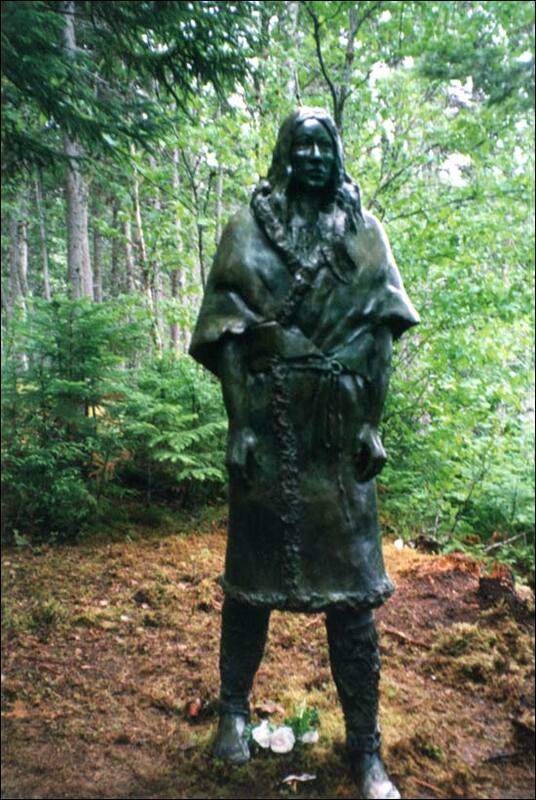 This life-sized bronze statue of Shanawdithit stands at Boyd's Cove, NL. Image reproduced by permission of Ingeborg Marshall. ©2012. ©1998, Ingeborg Marshall on behalf of the Beothuk Institute. For other Beothuk related articles view the Aboriginal Peoples Table of Contents.